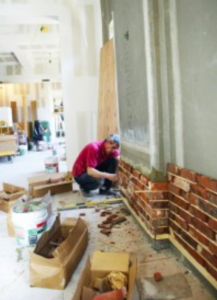 As reclaimed thin brick veneer is being meticulously applied to an interior wall, an instant transformation of this space is taking place with every brick that is laid. By using sliced bricks with an approximate thickness of 3/4″, real beauty and character are added in an instant, without the hassle of attempting to lay a full size brick to a wall. 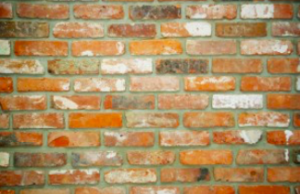 The authenticity of using reclaimed brick remains unmatched from any other manufactured product on the market. By starting with real recycled vintage brick and slicing them into thin brick tile, we make a product that installs as easily as any tile but still contains all of the character and texture of a surface that could only come from a centuries old weathered, used brick. The color range is nicely varied with a mixture of standard ‘clay-red’, bricks with ‘white tones’ that resulted from ‘Lime Mortar’ used in that time period, and ‘darker pieces’ from both fire and natural weathering. 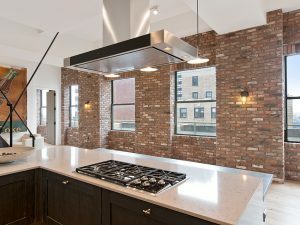 We at Stone Farm suggest using reclaimed thin brick veneer anywhere you would like to see the character and ambiance that can only be created from real reclaimed brick. This project came to life beautifully. 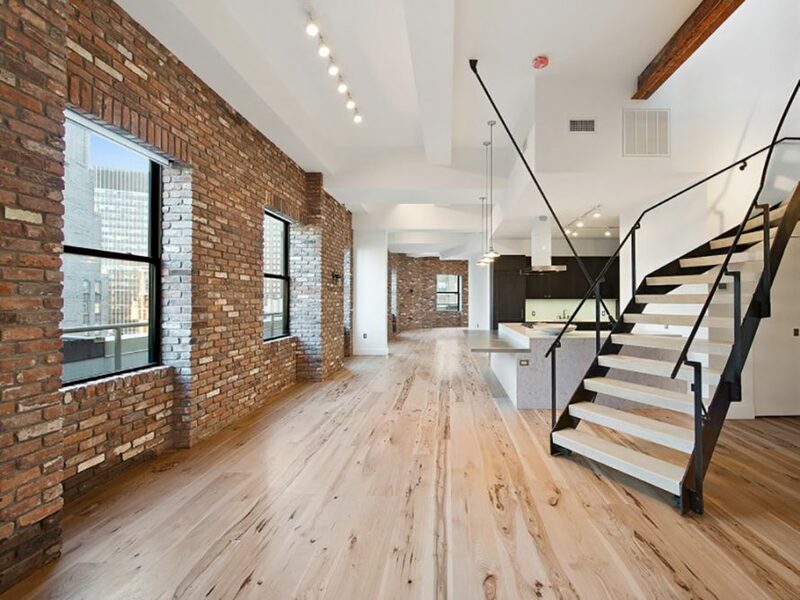 The reclaimed thin brick wall adds color, dimension and a bit of history into this modern penthouse. Stone Farm is happy to assist with everything you need to know regarding the use of Reclaimed Thin Brick Veneer in an upcoming project.